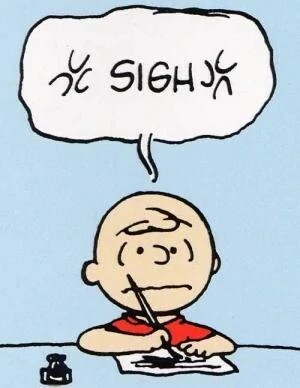 CY Leung is Charlie Brown. Why Doesn’t Anyone Like Hong Kong’s New Chief Executive? It’s gotta be tough to be CY Leung. He is 18 days into his job as Chief Executive of Hong Kong. He fought hard to win the election. And yet no one seems to like him. What’s up with that? On Monday CY announced a raft of incentives to win over segments of the population. These include payments to the elderly and the building of a network of youth hostels. He’s making it easier for renters to buy second-hand flats built by the government in conjunction with private developers. These are all intended to boost his low popularity. In the LegCo meeting where CY announced these measures, he then had to deal with a slew of questions unrelated to these goodies. Why won’t he come clean on illegal renovations undertaken at his residence on The Peak? What are the implications of his hand-picked (and now disgraced) Development Minister being under investigation by the ICAC (Independent Commission Against Corruption)? “Leung has more support among the elderly and those with a lower education background,” said Choy in today’s The South China Morning Post. Face it. Hong Kong is nervous. A bank scandal here and a slowing juggernaut there all add up. The share market is tracking like the Dragon Roller Coaster at Ocean Park. At least when it comes to discontent CY Leung isn’t alone. France’s new president Francois Hollande’s saw his approval rating fall sharply in July. Hollande was elected in May promising to reduce unemployment. Now 60 days later the populace wants results. He did give jobs to new Ministers, didn’t he? Even incumbents face tough times when the economy is down. US President Obama has poor approval ratings – but he’s still forecast to be the next winner, according to The New York Times. All these challenges to leadership don’t fully explain away the morass (and mess) facing CY Leung. Perhaps its his failures to clearly communicate during this time of trouble that exacerbate the situation. During Q&A with legislators Monday Leung chose to non-answer specific questions. It’s clear CY Leung has his training wheels on. He’s new in the job. But the campaign should have provided him plenty of time to prepare for life in the public eye. With the world economy under threat and the nation facing enormous challenges, Hong Kong’s new government must quickly and adeptly come to power – and lead with confidence. When he does that CY Leung will see his popularity improve and his critics lose voice. Until then maybe he should get a dog. That was the advice Gordon Gecko gave in the film Wall Street. Want a friend? Get a dog. Witty and insightful as usual!